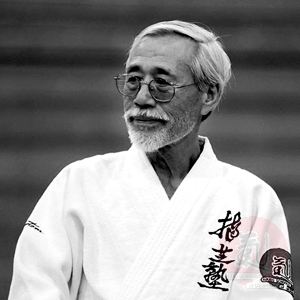 The Ueshiba Juku designation is awarded by Mitsugi Saotome Shihan to selected senior students and instructors in recognition of their loyalty and dedication to building ASU and promoting O Sensei’s vision. It declares that they are not only true deshi (direct disciple) of Saotome Sensei and inheritors of his teachings, but are also part of O Sensei’s own school and pure lineage as only a true Uchi Deshi of O Sensei can recognize. The status is indicated by special kanji worn on the formal Dogi of the authorized individual, and is an honor independent of specific rank or Shihan status.